My name is Amber and I am 24 years old. I have an AMAZING family. I have Two Dog's Princess age 9 and Bailey age 4. We also have a bird named Hagar. I am a HUGE Twilight Fan! 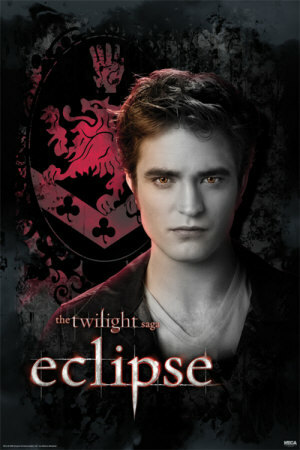 I am obsessed with Robert Pattinson/Edward Cullen. I love Music such as: Bruno Mars, Robert Pattinson, Muse, RadioHead, Paramore ( pretty much anything Twilight), Beyonc'e, Ludacris, Jennifer Hudson, Alicia Keys, Drake, Jason Darulo, John Denver, Katy Perry, P!nk, Ke$ha, Taylor Swift, Mike Posner, and many other's. My favorite Movies are : Twilight ( of course), Death at a funeral, Grown ups, Sling Blade and Many other's. My favorite Actor's/Actresses are : Robert Pattinson, Peter Facinelli, Kellan Lutz, Ashley Greene, Kristen Stewart, Billy Burke, Elizabeth Reaser, Micheal B. Jordan, Shemar Moore, Matthew Gray Gubler, Eric Szmanda, Josh Charles, Eric Christian Olsen, Gerard Butler, Adam Sandler Alex O' loughlin and many more!